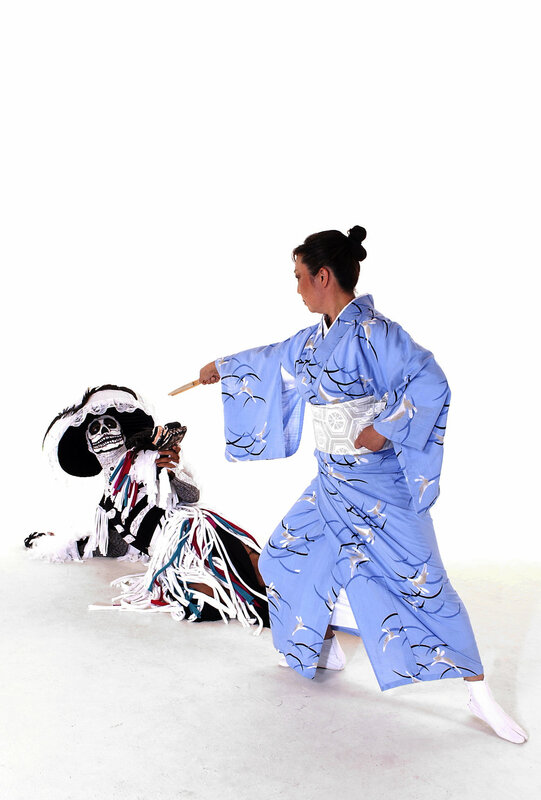 México’s Dia de los Muertos (Day of the Dead) and the Japanese Obon Festival (Festival of the Dead) are two traditional celebrations that honor the spirits of our ancestors. The Mexican custom of Dia de los Muertos takes place each year on November 1st and 2nd. The Japanese Obon Festival is celebrated annually in July and August. It is said that the souls of the dead journey back to Earth to visit their families at this time. To welcome and comfort them, we participate in rituals honoring the ties we have with our ancestors. We make a journey home to be with family; we hold vigils in the cemetery; we create an altar with offerings; we participate in a community celebration; we dance and play music, whether it be traditional Bon Daiko drumming or a Mexican folk song like La Sandunga; and we tell stories about those who have come before us. As we participate in these traditions, we also consider our own mortality, our own vulnerability. We realize that life and death, rather than being opposites, are complementary parts of the experience of all human beings. We may be like the scrappy street dog, Lucas, who taunts death to the bitter end, or we may be like the innocent couple that unexpectedly confronts death and bargains with her to go on living. We may know someone who has perished in battle, or someone who never had a family to honor them. We pause to remind ourselves that the dead are still alive within us. They are the reason we are here; they are a part of our family. The Mexican folk skeleton character, La Catrina, is a popular symbol of the Day of the Dead. Created by José Guadalupe Posada, (1852-1913), an illustrator and political satirist, La Catrina represents Death. Posada used his illustrations to express the sentiments of the working class by poking fun at the dictatorship of Porfirio Diaz. The origins of La Danza de los Diablos may be traced back to African slaves. The dance was originally a ritual dedicated to the god Ruja, to ask him to free the Africans from their terrible working conditions. 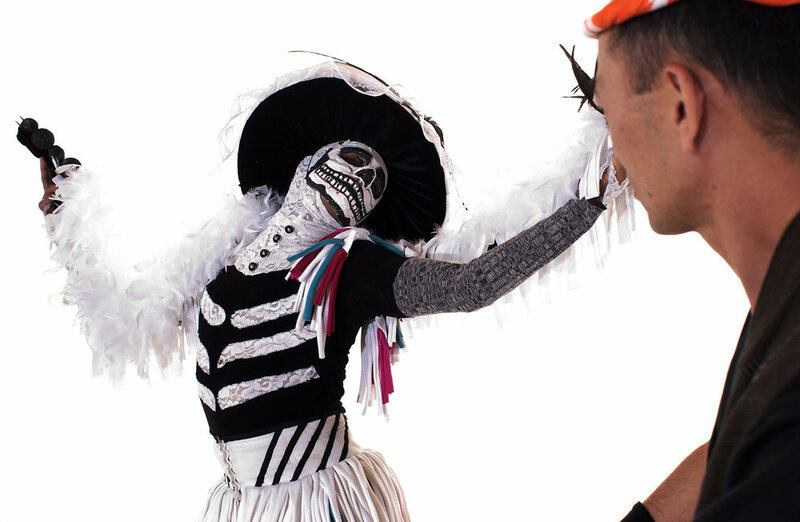 Nowadays the dance pays homage to the dead - which is why the dance is performed on the Day of the Dead. Although Santiago Collantes, on the coast of Oaxaca, is not the only place that the Dance of the Devils is performed, its version is the best known. The small stone statues represent Jizo Bodhisattvas, a popular figure in Japanese folk religion. Jizo Bodhisattva is protector of the weak, the poor, women, slaves, and patron “saint” of children who have died. The final day of the Obon Festival in central Japan is dedicated to Jizo Bodhisattva and children who have died. 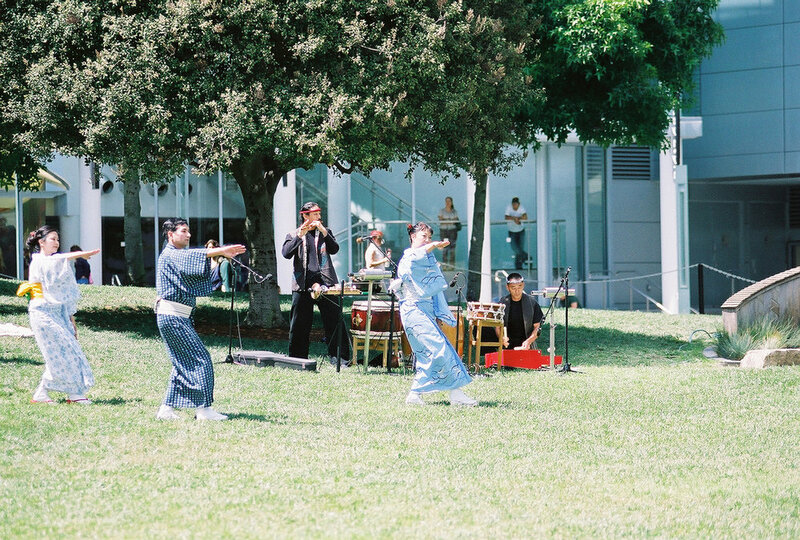 Ghost Memories is supported in part by the San Francisco Arts Commission, the Zellerbach Family Foundation, the Djerassi Resident Artist Program, the San Francisco Asian Art Museum, the Oakland Museum of California & individual donors.